Batelco, a leading digital solutions provider in Bahrain, and Gulf Air, the Kingdom’s national carrier, have renewed their partnership agreement for a further 3-year term to provide Batelco’s Al Dana Club members and high valued customers with superior benefits. 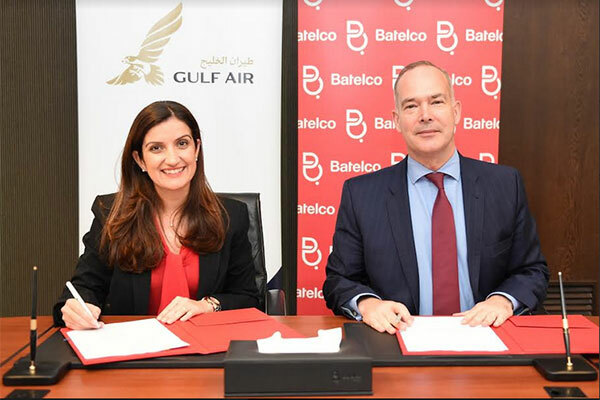 The agreement was signed by Batelco general manager Consumer Division Maha Abdulrahman and Gulf Air Chief commercial officer Vincent Coste at Batelco’s HQ recently. The Al Dana Club is Batelco’s exclusive Customer Relationship programme for residential customers who meet a number of set requirements. The exclusive club has been in operation since 2005 and Batelco regularly enriches the programme with new special benefits for its members which includes Falconflyer miles when members pay their Batelco bills. In addition, Batelco also announced the launch of the Gulf Air Bundle, extending Falconflyer miles to high value customers who subscribe to the Gulf Air Bundle for BD5/monthly. The miles will be added to the customers’ Falconflyer accounts based on their bill payments. “We are very pleased to renew our partnership with Gulf Air in order to continue to deliver superior Gulf Air privileges for our Al Dana members. It greatly supports our efforts to deliver worthwhile benefits to enhance our customers’ experience,” said Abdulrahman.